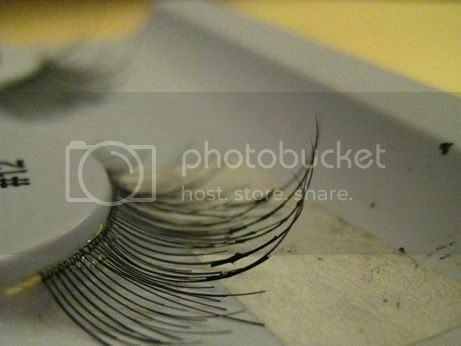 Many of you probably have heard of eyelash extension and may even have it done before. But have you ever thought of doing it for yourself? Yes, getting it professionally done is a bit pricey considering the cost ranging anywhere from $150-400. Not to mention having to retouch your extension once every two weeks, which cost another $50-100. The cost of an eyelash extension kit is $100-400, depending on where you get it. There are many competitive online retailers that sell it at a very decent price. However, please do your own research before buying. For now, check out a very detail tutorial on how to achieved those beautiful, longer looking eyelashes for yourself brought to you by babykat. Her tutorial is nicely written, very descriptive, and easy to follow. It was so helpful that even the president of OasisLashes, the website where she have purchased her kit from had featured it on their website. I'd like to thank you babykat for sharing her wonderful experience with us. Notice: This tutorial is for your general information and use only. Babykat and I are not intended to persuade you into any practice and we’re not held reliable for any risk associate with it. Please read our terms and conditions before proceeding. General information: Eyelash-extensions are semi-permanent, lasting 4-8 weeks depending on the life cycle of your own natural lashes and other factors. Like your hair and nails, your individual eyelashes grow out on a continuous cycle of replenishment. 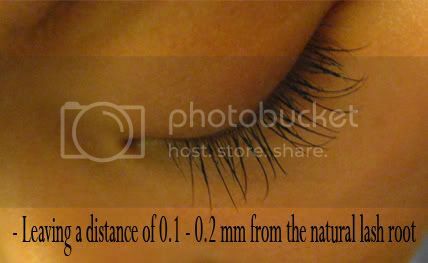 Benefit: very natural, long and thick looking eyelashes. Cheaper than any professional place. Blend on to your lashes as if they are your own lashes. No irritation if you do it right. You can wash your face, swim, sleep and shower without any trouble. Downside: Risky. Takes practice and experience. The kit is expensive but if you are a fan of eyelash-extension, comparing to the money you would spend every month touching up at professional place, u will be saving so much money =D, and sometime they don’t do a good job as if you done it yourself. - Do not let the glue touch your eye! - Do not let glue get on your skin, especially around eye area. - Do not poke your eye with the tweezers, be careful with it. 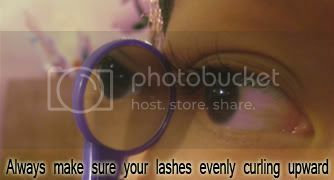 - Do not use the eyelash curler because it will break your lashes. - Do not remove the extension by pulling. Okay, thank you for reading the information. Let move on. Note: It will be so much easier if you have the individual falsie experience. The procedure is almost the same. 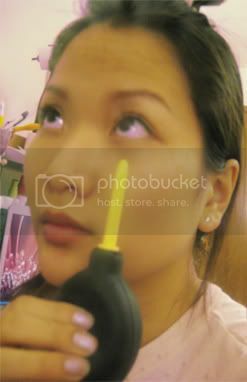 Before applying the extension, I suggest using individual falsie and adhesive to practice on your own eyelashes first. 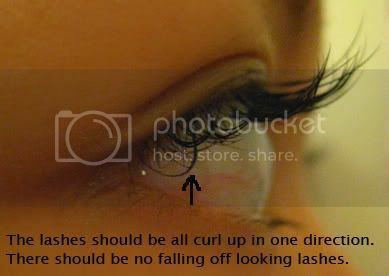 Here are the lashes: I use J-curl size 10, 11 and 12mm; 0.15mm thickness. You are going to need a set of falsie to practice. 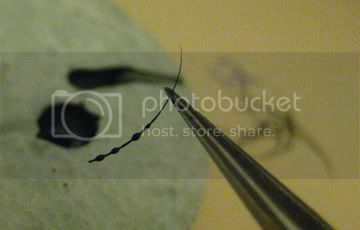 Using tweezers hold the synthetic eyelash polished tip; dip approximately 1/3 to 1/2 of the flat ended into the glue. Apply the extension on top of the fake lash. Try to bond the extension on one fake lash only. 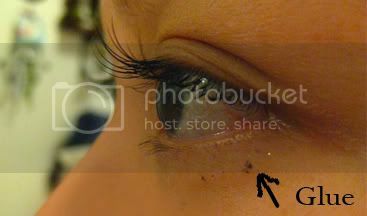 You might see clumps for first couple times, just simply take it out while still wet and bond onto the fake lash again. Make sure it curling straight up. Practice as many as you need to get use to it. Please watch the video below. The secret to achieve the natural looking is how well you bond the extension with your natural lash. Try to have one extension on to one lash only. First couple times, you might end up bonding couple lashes together, it’s okay. That’s why we practice. Okay, you are done with practice, let's do it @_@. Warning: make sure you know what you are doing. I am not responsible for your own risk. Start out with a clean, fresh face and eyelashes. I’d recommend washing your face with non-oil soap or some kind of non-oil cleanser. 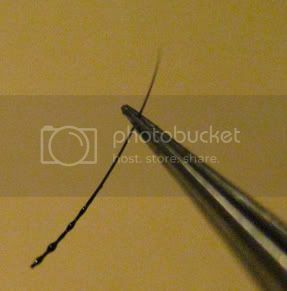 Important: Do not curl your eyelashes before applying extension. The straighter your eyelashes, the easier you can bond with the glue. 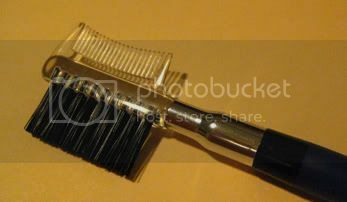 Use the brush side of your Eyelash Comb Brush to brush through your lashes. While brushing, plays with your natural lashes, get to know them, practice separating them with your fingers. Make sure you know the direction of your natural lashes. Use micro tape, taping on to your eyelid, not too close though. 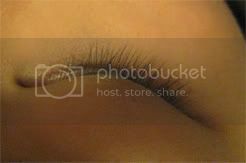 The purposes are for seeing the natural lashes easier, and prevent the glue get on to your eyelid. I found that it hard to work with the micro tape on so I just skipped it. For the first time doing, you should use it. Then use the technique above to apply on your natural lash. 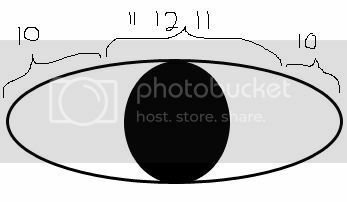 Again, please be careful, do not let the glue touch your eye! When you apply the extension, leave a distance of 0.1-0.2mm from the natural lash root. 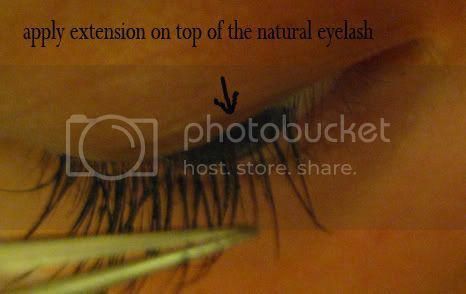 DO NOT attach the extension on the root of natural eyelash or onto the eyelid. This might cause discomfort and skin irritation. Make sure the fake lash curling straight up before the glue dry. After you apply, use the Handy Air Pump to dry the glue. Notice how I position the Handy Air Pump so that the extension is curled straight up. 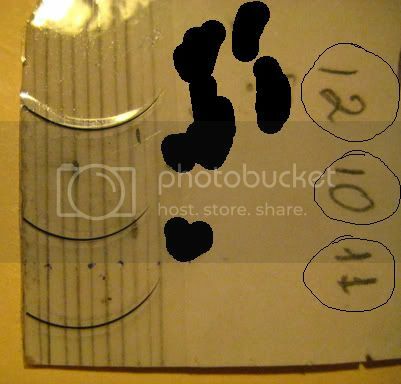 If it shifts position, simply take it out while it still wet, and bond again with less amount of glue. Always use mirror to check side view of your lashes. 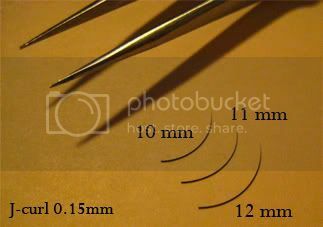 Note: You might apply the extension on top of bunch of lashes; use the tweezers to separate the unwanted lashes out. Try to have it on just one or two lashes. 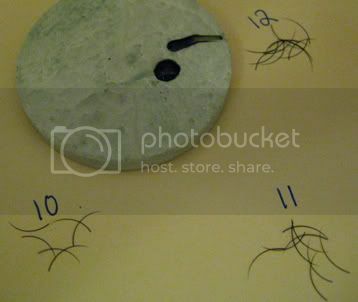 For first couple extensions, you might end up have 3 or 4 natural lashes bond to the extension, that’s okay, as you keep bonding, the process will be easier. While wait for the glue to dry, apply it on other eye. Keep applying, checking, and drying. Almost There =) When you see your extensions start to bundle together like the picture above, immediately use the Eyelash Comb Brush to brush them all out before the glue completely dry. Keep applying until you done with both side. 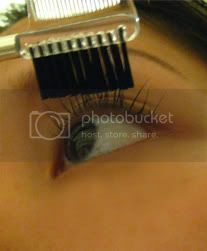 As you keep working, there are less lashes to bond, you can easily apply one extension on one natural eyelash. Here are the completed pictures . If you get glue on your eyelid, use the Q-tip with remover to remove the glue. It will stink as you apply on your skin. Do not let the remover get into your eye! If it does, flush your eye with the Saline solution and consult the physician immediately! If the glue gets too close to your eyelid. DO NOT try use the remover, just put on black eyeliner when you want to cover it. The glue will come off in couple days. - Make sure that you are comfortable in front of the big mirror and where you’re doing it. 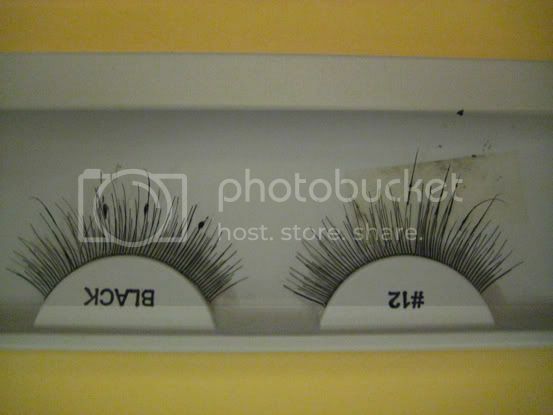 - Get use to looking at the handy mirror in the big mirror to check the side of your lashes. 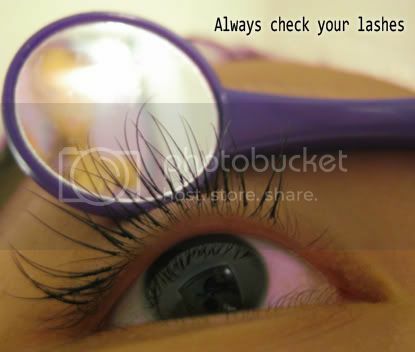 - Do not let your lashes touch water in the first 2 hrs. Avoid using hot water to wash your face, sauna or swimming the first 2 days. -Again, the extension should all curling straight up, not sideway. 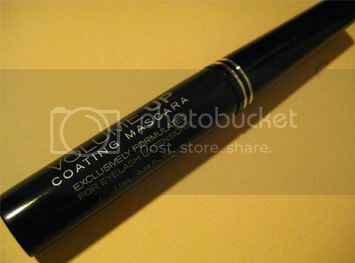 -It should smoothly bond with your natural lash and doesn’t have a lots of clumps. -The extension should be applied same direction as your natural lash. 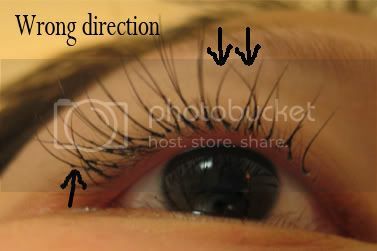 In another word, if your eyelashes are crisscrossed, you should apply crisscross direction with your natural lashes. Final note: so, what do you think?? It’s a lot of work, but it will pay off! 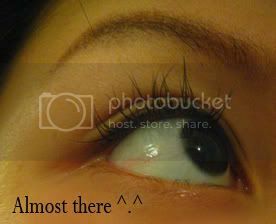 Except for peoples who know me, everyone else thought I have natural long eyelashes =D When I told them they are extension they said like… “You can just tell me they are your real lashes, I would never know!” ^__^ I love eyelash-extension so much that I want to share it with entire world! happy.gif So, if any of you have any question, feel free to ask, I will try my best. If you interested in buying the kits, please reply and I will give you the website. If you have any good website to share, please post. Thank y’all for reading!!!! Peace out. Wow, awesome work! This looks way too complicated for me to attempt though, I'd probably poke my eye out! I give you major credit though. I cannot believe you are telling people to just grab a friend and have them do this. THIS IS VERY DANGEROUS!! The kits on sale on ebay for $20 are not the kind of quality product you want to use on your eyes people! This is cheap cheap cheap. Look at the placement - completely fake looking. 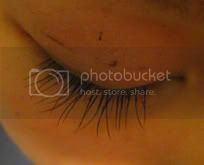 Look at all the lashes clumped together. This does not look natural. I advise anyone considering trying this on themselves to rethink it. There are plenty of professionals out there with training, experience and competitive prices. The initial set will cost you a couple hundred, but retouches are usually less than $50. Do some research. 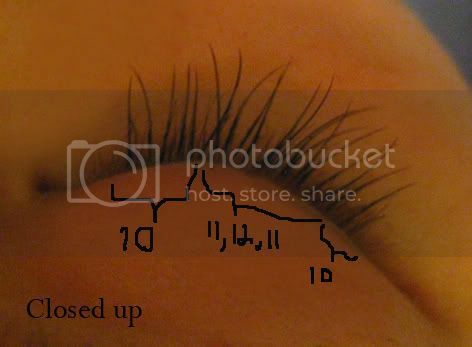 I do eyelashes perfessionaly, and have to say she almost nailed it. She has everything needed and she CLEARLY said shes not responsible for peoples mistakes. Sorry, Stacy but I dont think she was that bad. Wow SOMEONE got some sand in their *****. I agree with the responder. I think she did great considering she doesn't have the training. (BTW you don't have to be a rocket scientist to learn how to do this. "Training" isn't like a 6 month course, you pretty much watch tutorials and buy a home kit anyways from what I hear from "PROFESSIONALS". I've had mine done by professionals, at actual 'lash bars' that cost me $300+ and I've had mine look worse than hers. I've had to go back more than once to get it redone completely. Plus you have to realize that these pictures are extremely CLOSE UP. 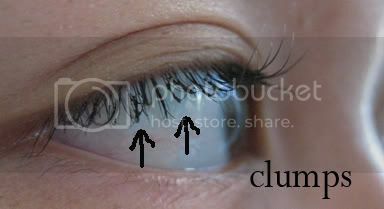 I don't know about you, but no one goes around staring at people lashes pointing out clumps. Doing research is an obvious DUH with everything you buy to put on your face...that's a given. Hey, if you've got a steady hand and did your research, I say go for it! I've wasted WAAAY to much money on incompetent "professionals" I'd rather take the risk. Good thing lashes grow back. Stacy, thank you for pointing out how dangerous this can be. If you have read the post carefully you would have notice that there's no way am I intend to submit my readers to any dangerous act without doing their own research. I've bold and enlarged the notice in case you want to take look again. Wow - some great, great, wonderful work! I have bought a kit like this on ebay and I had the misfortune of getting it to close to the eye- i had to wash it several time and it was ok. 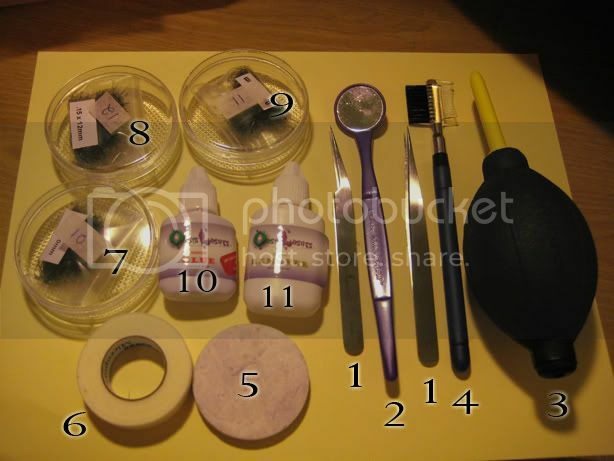 I then bought a quality glue (medical one - it cost me a lot more than the kit itself) and use the rest of the kit. However I was doing it all wrong!Now I can see how it is used! Anyway I have more eyelashes and more close together than babycat which makes the work more difficult. I will try it thought tonight. Babycat, I just want to say thank you for sharing your informative information. I am a cosmotologist but I did not learn how to do these lashes and I don't have the money to have them put on. I know I would be able to do them myself. I have a question? Where and what kind of glue do you use? Where do I purchase it? can I use eyelashes I bought at the beauty supply? and what about the sealer? I heard this mentioned. Please e-mail me back with the info. I love your tutorial! It's very thorough. Where do you recommend that I buy quality lashes and glue or eyelashes extension kit? 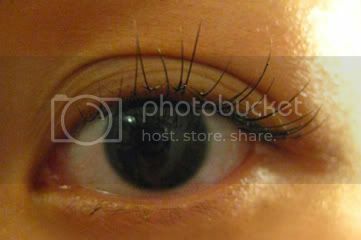 Im realy interested in this eyelashes extenshion, maybe you can write where can i buy it? 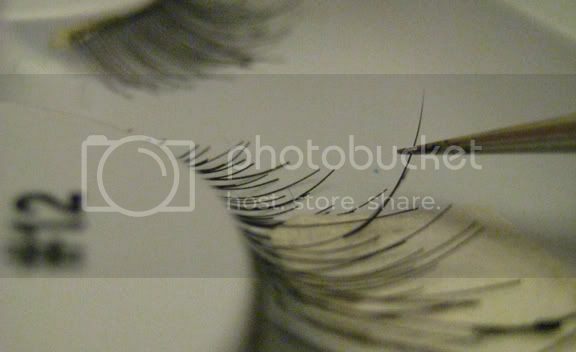 :) (the natural eyelashes and glue). Because im a little bit afraid to buy from somwhere, afraid to get false.. This is so helpful! I previously had paid for the professional services which cost $300 (not including tip) at a very highly rated salon. I was disappointed with the results - they looked great... just not $300 great... plus as they got sparse it just looked sad. I use falsies regularly, so I have years of practice, but after looking through this tutorial, I now know that it's just not something I'm comfortable doing on my own eyes! Much appreciated! Hi I have actually been applying my own individual lashes for a while because I just could not afford to keep going back to get fills and yes it does take practice and a couple hours but its worth it. I bought all my stuff on ebay for a fraction of the cost of a kit or getting it done by a professional. I researched kits and looked up everything i needed including tape for the lower lash which is a must so your eyelashes don't stick together when you blink. No disrespect to the girl who blogged its a great posting but mine look like i really went to a professional and had them done. I haven't done them in a while so I'm planning on making a youtube video and I'll post it here as well. I've been to 2 different girls and wasn't happy with the results...they were either crooked, or sparse, or done so poorly that the extensions fell out only after a week! When I asked her about it, she told me: "that's what a fill is for!" So I was spending couple hundred every 2 weeks which is despicable! I've got a pretty steady hand so I think I can attempt this...it would save me sooo much money! And since I'm so dang O.C.D. about my lashes, I could make them perfect exactly the way I want them. Thanks for your awesome step-by-step tutorial! BTW yours turned out beautifully! I know thіѕ if off topic but I'm looking into starting my own weblog and was curious what all is needed to get set up? I'm assuming having a blog like yourѕ would соst а prettу ρenny? 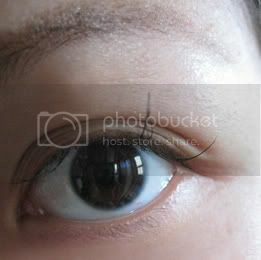 How to make your eyelashes grow is a good solution for immediate result, but be aware that no matter what type of extension you get they will thin out your natural eyelashes. Other thing to keep in mind is the maintenance and restriction of having eyelash extension. Im looking into applying myself. What is your website?